You’ve seen my thoughts on Outlook 2013, Word 2013, and Excel 2013 previously – now, I wanted to take a step back and look at the entire suite itself. The “fat” Office application suite has been with us so long, it’s almost easy to forget that this was a very non-cohesive set of programs not so long ago. Microsoft has certainly made gains in that regard as it integrates and includes no less than 9 different tools in the full Office 2013 package. Let’s take a look at the bigger picture. Everyone Knows Microsoft Is Stodgy? 99.9 percent? Do these 99.9 percent think software is made by accident too? What then plays out is a chance for him to list recent projects, many of which we already know about, in an effort to win the prestigious “Best Microsoft Shill” award. I think the TV show Hawaii-Five-O is still winning in this one, though. The scenario: You need to get a copy of Microsoft Office 2010 installed on your Windows-based computer, but don’t wish to buy a copy the Application. You heard there were free options available for this software but we’re sure how to get the application installed. Included in Microsoft Office 2010 Starter are stripped down versions of Microsoft Excel, and Microsoft Word. 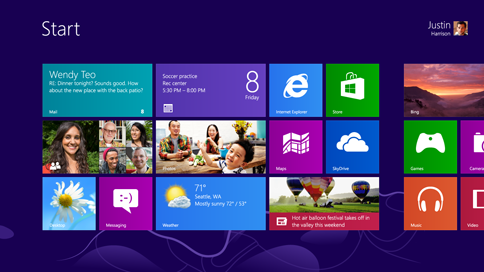 In this article, you’ll install a copy of Microsoft Office 2010 Starter or a trial version for free on your Windows 7 or Windows 8 computer (sadly, Windows XP is not included). As many of you know, all desktop client versions of Microsoft Office 2013 are going to see a price increase. Some of them, quite significantly so. With Office 2013 currently being released to manufacturing (RTM) and on track for a first quarter release date – many are wondering how much Office 2013 is going to cost, how high the increases are going to be and why Microsoft is raising prices on an already “cash cow” line of business. Since many business users still rely on the desktop Office application, they can’t (or won’t) move to the online Office 365 offering. I look at recent developments in a commonly used version of Office, in what’s shaping up to be a mess. Is DIGITS The Future Of Computer Input? There are certainly many barriers to this kind of thing becoming a standardiazed input, but Microsoft may be the company to do it. Imagine a future, if you will, a minor operation in both of your wrists to embed a small DIGIT sensor that can be used to control everything from tablets to the radio in your car, to realtime translation of sign language.